SKN-302 is an automated stop and positioning system. 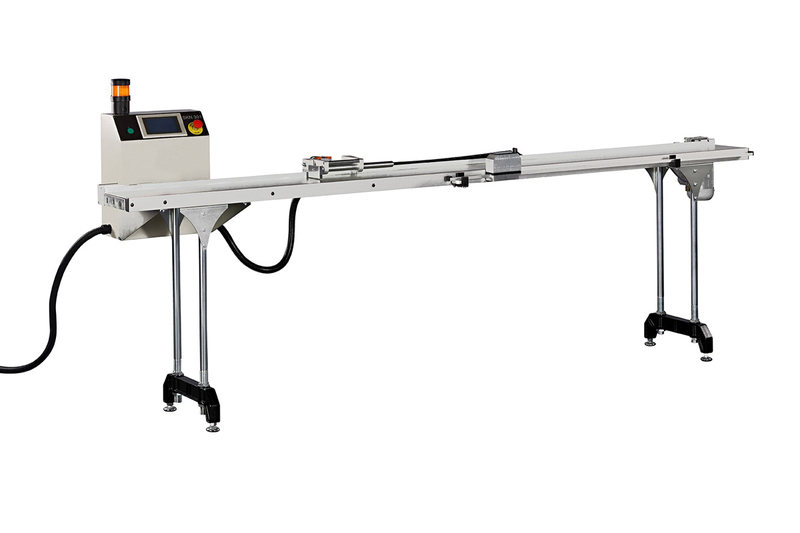 10′ (3 m) is the standard conveyor length. 15′ (4.5 m) and 20′ (6 m) versions are also available (SKN 452 and SKN 602 respectively). 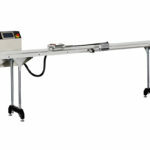 It is equipped with a control panel for automatic positioning, and a touch screen operator panel for cut list creation. Carrying capacity is 20 lb/m (9 kg/m). Minimum cutting length is 5mm.